With threats of burglaries and thefts, you need to make sure that your home or office, as well as your family or workforce, are protected. You can assign security officers in the main entrance, but this may not be enough. What if none of them are looking at the door at the time robbers come in? What if something bad happened to them while they are on duty? Thieves can enter your premises freely thus placing your properties and everyone at risk. This is why it is still important that you have something to protect you; something that will facilitate screening of people before they gain entry to your home or office. This is also the reason Locksmith San Diego offers telephone entry system installation, repair, and maintenance. We want to help you improve the level of security in your properties. Call us at (866) 306-8557 and we will gladly provide you with all the details and the benefits of our door entry systems. We have a team of experts who will provide you with high quality telephone entry services. Soon as you confirm your job order, we will immediately go to your place to do thorough inspection and make the necessary recommendations. We will perform the job the soonest possible time because we do not want you to spend another day, thinking that your home or business has poor security system and that you are all at risk of burglaries. We also offer free consultation and estimate of the service. We have a wide range of telephone systems to control the entry of people who want to gain access to your business or residence. All of these can offer you the highest security level for your premises. They are priced reasonably to give everyone the chance to afford our services, which include installation, maintenance, and repair. 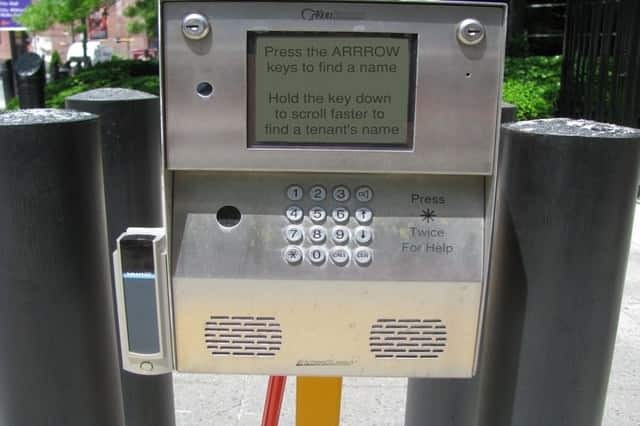 Phone Entry System Installation – We install intercom system installation – including the telephone entry method to allow you to screen people who want to enter your home or office. This will allow you to give or deny access to individuals you are not familiar with or to persons who will only waste your precious time. Our expert installers will arrive on time, perform the necessary inspection of the place, offer recommendations, and deliver the premium service. Phone Entry System Maintenance – If your security system has been installed long ago, it is already important that you have it checked by our highly reliable team so we can perform thorough inspection. You may not realize it, but there can already issues that will soon affect your safety and privacy. Hire us so we can inspect and suggest on how we can fix the problems. You do not want to be surprised, frustrated, and saddened with the news that burglars were able to enter your home or office because the door entry system has malfunctioned, right? Avoid situation like this; call us at (866) 306-8557. Phone Entry System Repair – Do not waste any minute; call us immediately when your entry system breaks down. Do not compromise the safety of your properties. 7 Day Locksmith offers you two things that you value so much: security and privacy. There are times that these two are at risk when your security system is poor. On these days when burglars and thieves are improving their tactics to get inside the premises to be able to ‘conform to’ the development of new technologies in ensuring the safety of properties, you should also think about increasing the level of your security and privacy. For one, you will have to monitor and screen the people who are going in and out of your home or office. You should be able to deny a person’s access whenever necessary. The person standing in the entrance is a stranger to you. With the help of the telephone entry system, you can easily ask him for details first before you let him in. 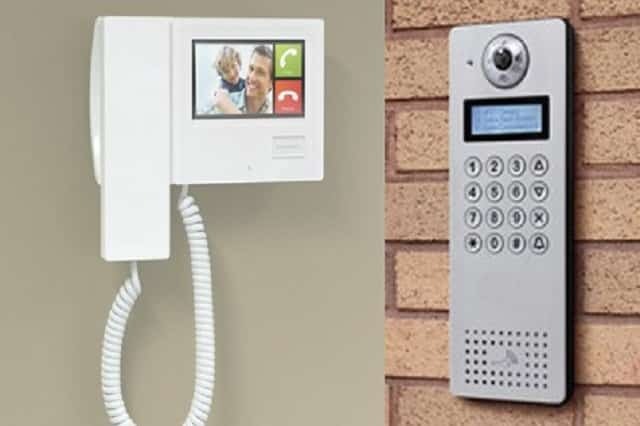 With our wide range of intercom systems, we can provide you with the door security system that will best fit your home or commercial needs. You can tell us all your worries and we will offer you the necessary solutions. Call us for high quality telephone entry systems installation, repair, and maintenance at (866) 306-8557. Our rates are reasonable that you do not have to worry about it. We also perform free in-home estimates to give you more accurate pieces of information about the system and the service. We have experts that can deliver the job with excellence. We do background checking and drug testing before we hire staff to ensure the integrity of our company and to guarantee the safety of our clients. 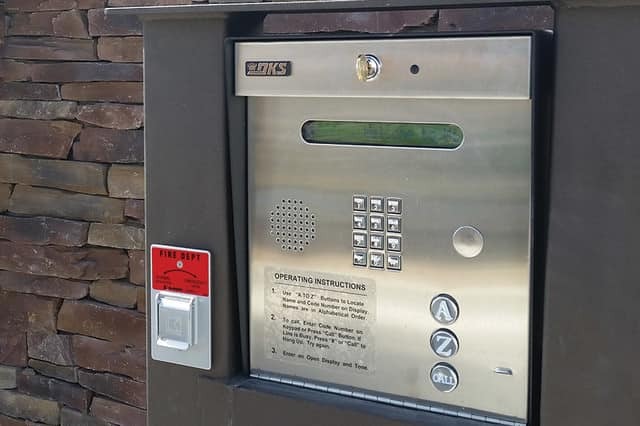 Telephone entry systems San Diego are the most reliable and efficient methods to control the access of guests to residential and commercial properties. It lets the authorized personnel to do proper screening before giving them access to entry points. More often, it is located (a bit) farther than the main entry point of the building or the house to ensure higher security. It gives you the choice to avoid people who have no official business with you – like a relative or a neighbor who only wants to waste time chatting with you. Because of this, you are able to prevent yourself from getting distracted and you are able to spend your time on more worthy activities. In the business aspect, you are able to avoid talking with visitors who will only consume your time. You can easily assign your staff to speak with them. You are safe from burglars and thieves as they will not be able to open the gate or the door because they have no access to it. Your valuables are then safe. You can work and sleep in peace. Intercom systems also allow you do short talks with the person in the entrance. It is not necessary for you to walk and come out to be able to answer his concerns or inquiries, particularly if you are in hurry and busy doing something.